Humility (lowliness) is the state of coming to the realization that we are nothing. It is in this state that God can use us the most because we have stripped our 'selves' (read ego, title, position) from the equation and are totally open to be molded into an instrument according to God's purpose for us. 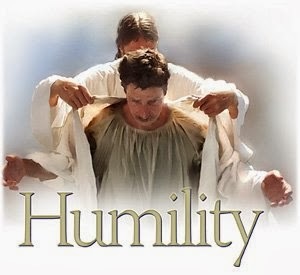 In humility we become malleable, like clay to the potter. Psalm 138:6 "For though the Lord is exalted, Yet He regards the lowly, But the haughty (arrogantly superior; supercilious) He knows from afar." In order to revive the spirit of the lowly And to revive the heart of the contrite (crushed or broken).